“Did you hear? Your Dad and Teddy are dead.” My world came to a grinding halt on October 21,1972. Memories of our family once rich in love faded as darkness overtook my life. Loneliness, anger and depression led me to ask questions a 15 year old doesn’t usually ponder at this time in life. How could the God of this world do this to me? What the heck are we living for? Where is my Dad now? My older brother and sister coped with the tragedy in their own way: they left home. All of my childhood securities vanished within months; everyone was gone and I was witness to my Mom destroying her life with alcohol. I left for school each morning with a hope that today would be different. Today would be a day when sunshine and roses were allowed back into my life. Upon arrival “home” again there was only closed drapes, dirty dishes, and bottles decorating the table. I guess I never trusted much after Dad died. Words like “hope” and “promise” vaporized into thin air. I soon learned to rely on myself — to make promises to myself and then break my back making sure I kept them. 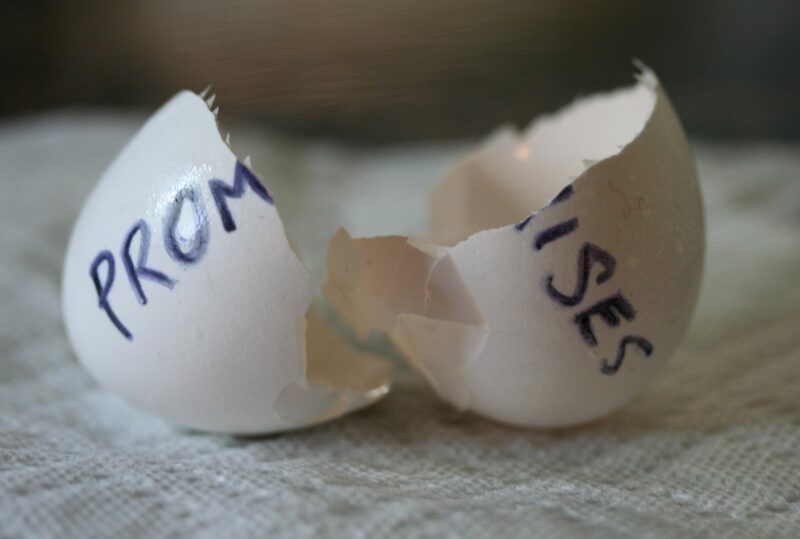 Born was an over-achiever attempting to compensate for all the broken promises in her life. My search to fill the emptiness that had consumed me since that fatal day took me in and out of a marriage by the time I was 21. My second marriage was clouded with drugs, alcohol and parties. Eventually, the will to succeed in my own business destroyed marriage number two. My dreams were not coming true. New age, mediation, tai chi, rebirthing, positive affirmation, and others could not bring me the peace I desired; none of them filled the emptiness in my heart. One day a business associate asked me if I blamed anyone for my Dad’s death. Yes, I said. It was all God’s fault. I sensed that this woman had something I did not, so I asked her what philosophy she subscribed to. She told me she was a Christian and invited me to her church. My life turned around after that day. Of course, it was not overnight, but God slowly gave me the peace I was in search of and helped me restore my marriage. He gave me a second chance; he lifted me out of my shameful past, and so as long as I live I want to be the new woman He created me to be. My life is not perfect. I am a work in progress; but now I live with a full heart and a security knowing that Jesus will always love me and never leave me. The best part is that I don’t have to be perfect; He loves me just the way I am.